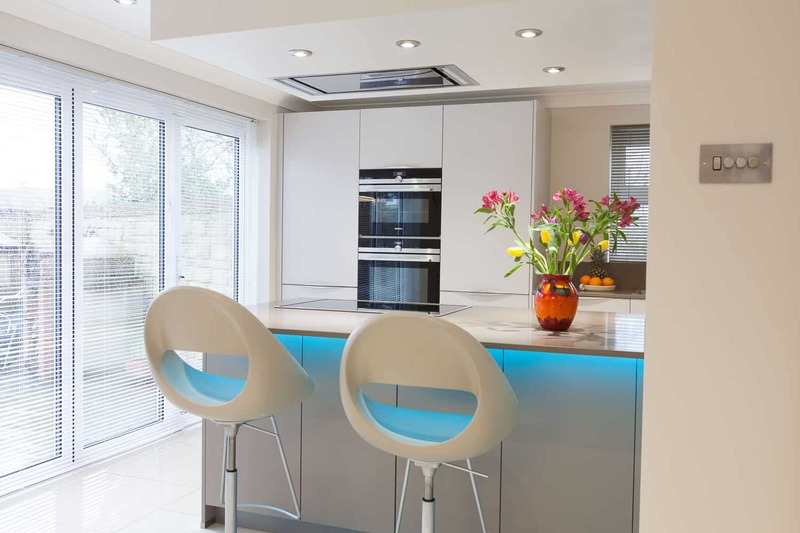 The brief for us on this project was to create a larger kitchen and entertaining space from the existing galley style kitchen without the need to extend the property. The house was a 1980â€™s semi and had a typical separate kitchen and dining room at the rear of the property. 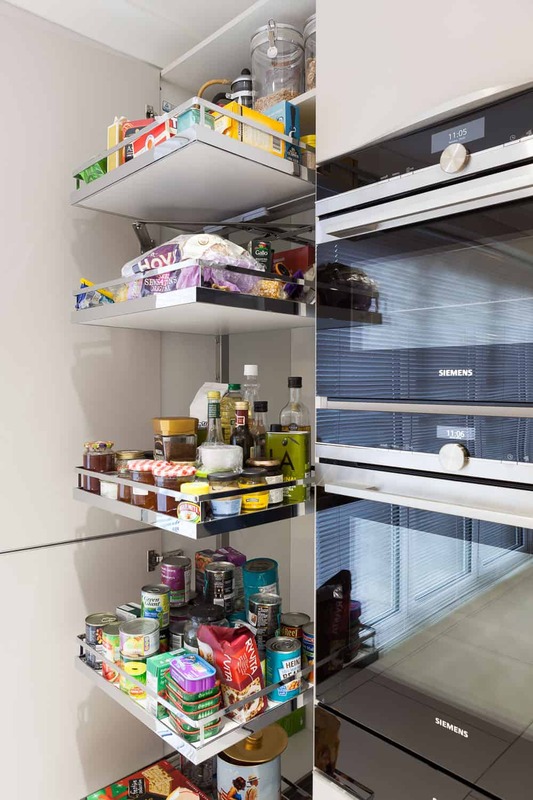 We reconfigured the space removing an internal wall to create a larger space and then using part of the integrated garage to create a utility room the result was a significantly larger kitchen. Then by removing the wall separating the kitchen from the dining room created an integrated entertaining space. The result as you can see was stunning and the client was absolutely delighted, with many of their friends believing they had extended the property. For us this was a triumph of thoughtful and innovative design.